Today many of us start a car trip by typing our destination into a phone app that charts out our course and lets us know what kind of traffic is in our future. 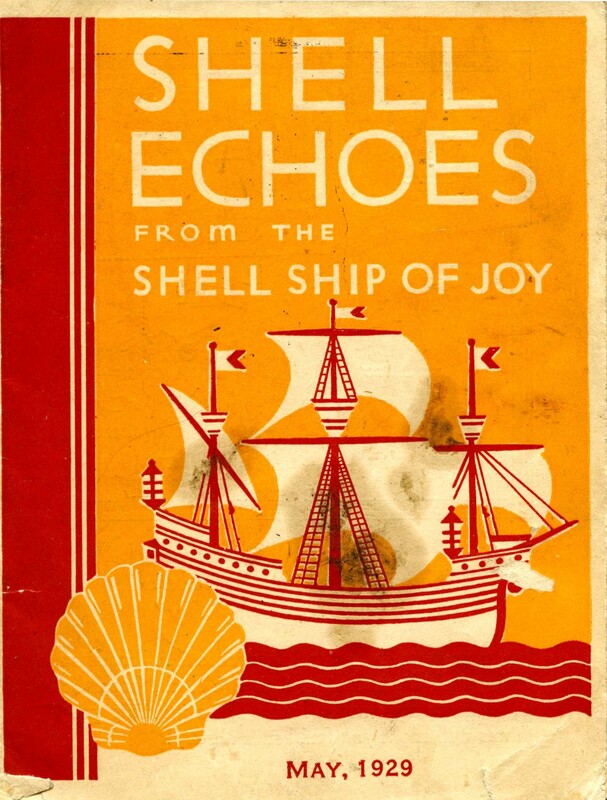 Before navigation apps and GPS systems were available, many travelers plotted out their journeys by using paper maps and tourist guides. 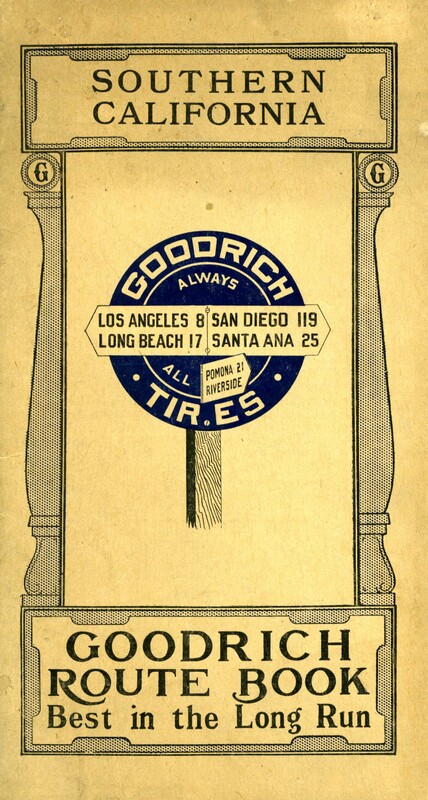 In the 1910s and 1920s, a number of companies and organizations offered up services and free brochures that helped automobile travelers plot their trips. Efforts to build highways across the United States in the 1910s and 1920s began to make automobile tourism more pleasant and accessible. 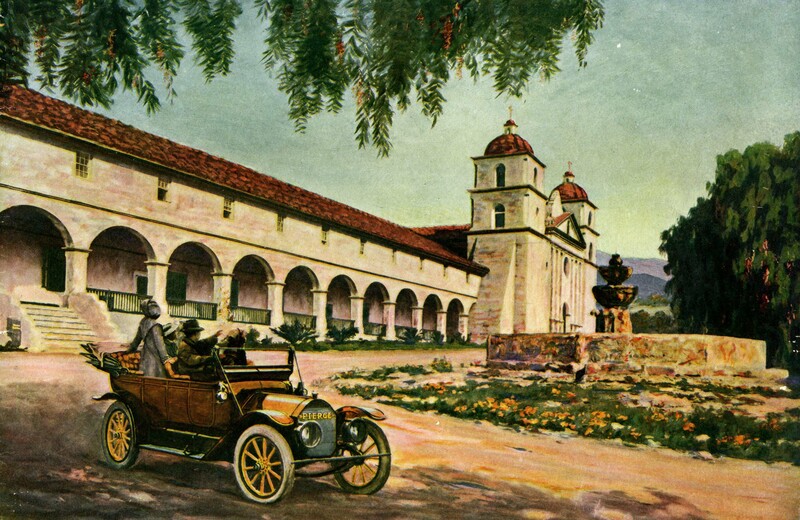 The California Highway Act of 1910 led to the issuing of $18 million in bonds for highway construction and improvements, and the Federal Highway Act of 1916 matched federal funds with those supplied by state highway commissions to build roads. Alongside roads meant to get a driver from point A to point B, scenic roads were built, intended for leisure drives through nature's varied terrains. Americans privileged enough to be tourists in the late 19th century might have taken a train across the country. Trains had the constrictions of timetables and predetermined stops. The proliferation of roads for automobiles placed more control – and more decision making – on the individual tourist driver. It was now up to the driver to determine when to leave, where to go, and whether or not routes were safe. 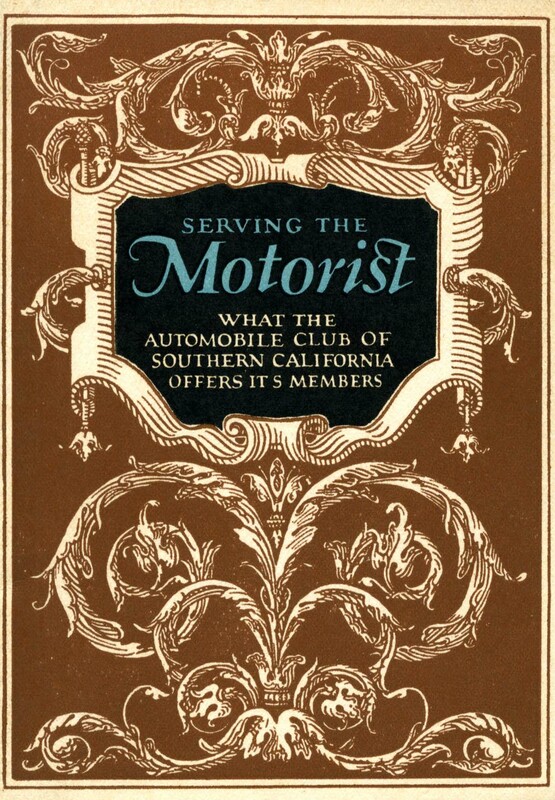 The Southern California Automobile Association, founded in 1900, played a significant role in making driving pleasant and functional across Southern California and beyond. The organization placed road signs for directions, mileage, and road conditions that made roads navigable. 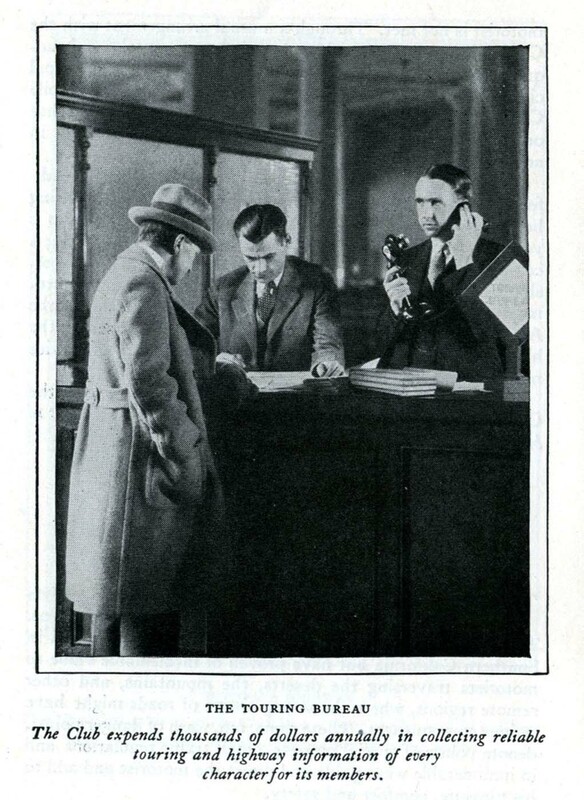 They also offered a Touring Service information bureau that provided members with the information needed to journey by car. Oil companies also started to get into the tourist information game. 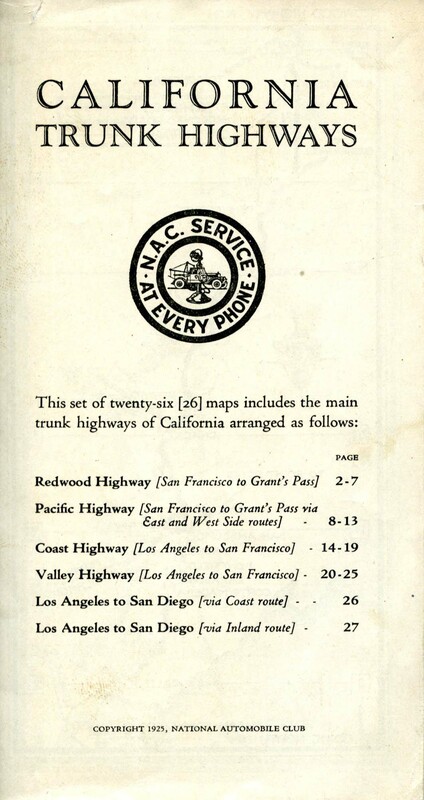 Both local organizations and big corporations created and gave out guides outlining routes for drives from one destination to another. These guides offered information on where to stay and what to see along the journey. 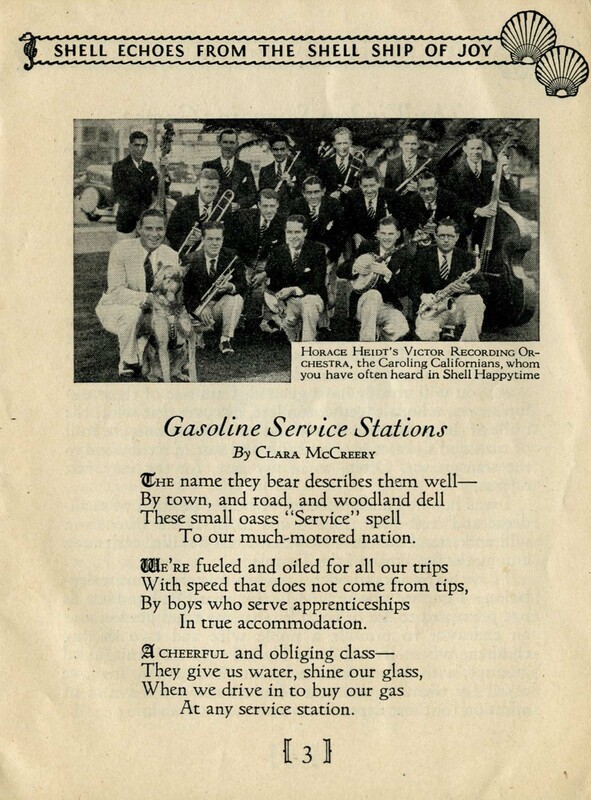 In an April 14, 1947 ABC radio interview with Don E. Gilman, Executive Vice-President of the Western Oil and Gas Association, Gilman noted that "the oil industry has always been among the most earnest advocates of good highways. Our interest is twofold; first, because it is the duty of good citizenship, secondly, we have a selfish interest in wanting good highways because we sell the materials from which highways are built and the gasoline and oil consumed on them." The scale of car tourism and paved roads grew even more rapidly after World War II, but the seeds were planted in the first decades of the century. 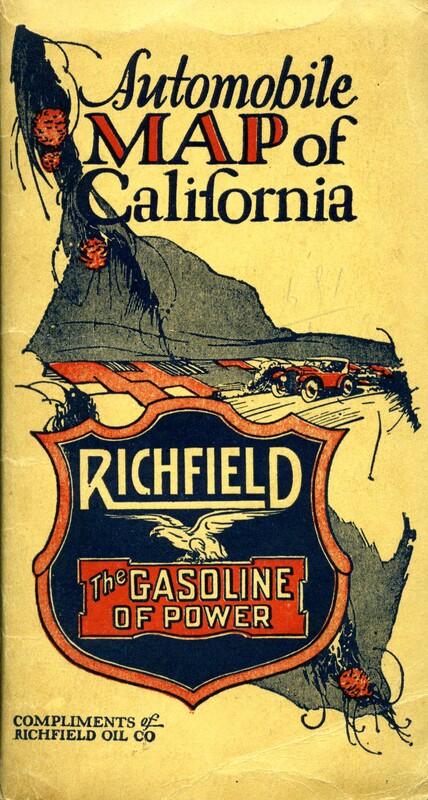 The 1927 booklet, "California the Eden of the Earth: See California First," noted that, "the old corduroy and the rutty, dirt road of the past are but vague memories; in their stead are highways broad and long and smooth as a parlor floor, traversing the length and breadth of the land…tapping not only important cities but remote and heretofore almost inaccessible rural settlements and farms, to the end that the motorist may speed him where he lists …verily it is the age of rapid locomotion via the rubber-shod steeds of steel." 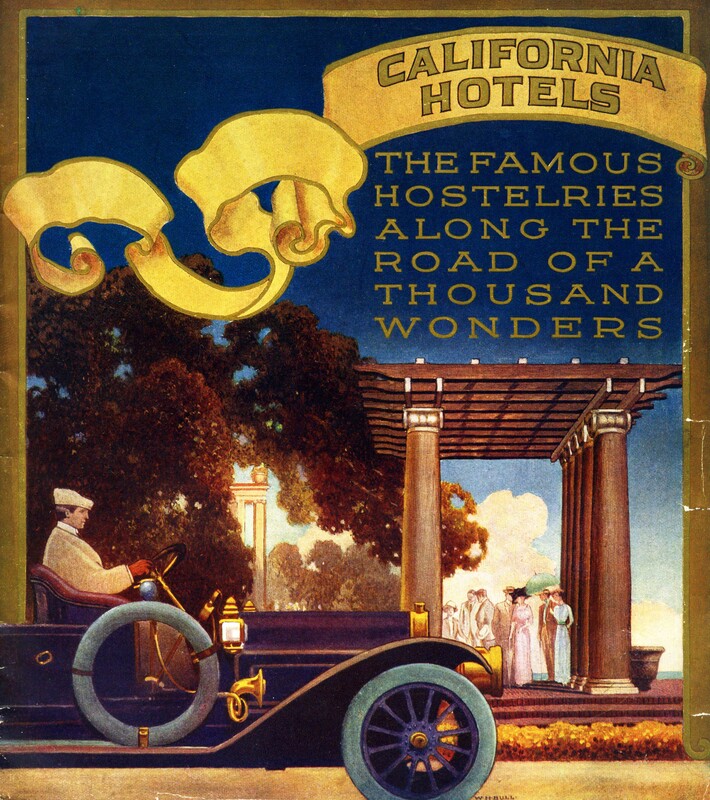 Brochures, maps, and other ephemera documenting the early days of automobile tourism and travel can be found in the California Tourism and Promotional Literature Collection, the Road Maps of California, Other Western States, and the United States Collection, and the George and Cecilia Burlingame Papers. 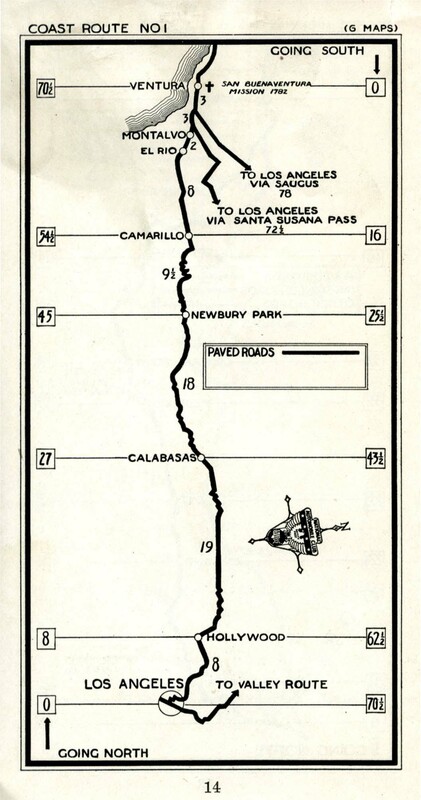 You can also read about one individual's car journey across the southern half of California in the Laura A. Kelly Travel Diary.